In this episode of the Hunger Games Fan Podcast, Stephanie and I share our reactions to the 15th and 16th chapter of the second book in the Hunger Games Trilogy, Catching Fire. In this episode of the Hunger Games Fan Podcast, Stephanie and I share our reactions to the 14th chapter of the second book in the Hunger Games Trilogy, Catching Fire. In this episode of the Hunger Games Fan Podcast, Stephanie and I share our reactions to the 12th and 13th chapter of the second book in the Hunger Games Trilogy, Catching Fire. In this episode of the Hunger Games Fan Podcast, Stephanie and I share our reactions to the 11th chapter of the second book in the Hunger Games Trilogy, Catching Fire. In this episode of the Hunger Games Fan Podcast, Stephanie and I share our reactions to the 10th chapter of the second book in the Hunger Games Trilogy, Catching Fire. In this episode of the Hunger Games Fan Podcast, Stephanie and I share our reactions to the 9th chapter of the second book in the Hunger Games Trilogy, Catching Fire. In this episode of the Hunger Games Fan Podcast, Stephanie and I share our reactions to the 8th chapter of the second book in the Hunger Games Trilogy, Catching Fire. In this episode of the Hunger Games Fan Podcast, Stephanie and I share our reactions to the 5th, 6th, and 7th chapter of the second book in the Hunger Games Trilogy, Catching Fire. In this episode of the Hunger Games Fan Podcast, Stephanie and I share our reactions to the 4th chapter of the second book in the Hunger Games Trilogy, Catching Fire. In this episode of the Hunger Games Fan Podcast, Stephanie and I share our reactions to the 3rd chapter of the second book in the Hunger Games Trilogy, Catching Fire. In this episode of the Hunger Games Fan Podcast, Stephanie and I share our reactions to the 1st and 2nd chapter of the second book in the Hunger Games Trilogy, Catching Fire. 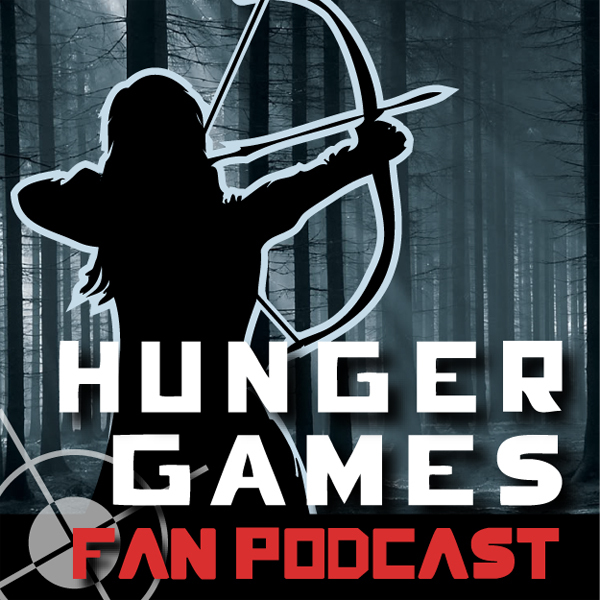 In this episode of the Hunger Games Fan Podcast, Stephanie and I share some of the conflicting feedback that we have received about reading ahead. I believe that it is very clear that our coverage of the Hunger Games, at least the first half of the book, was absolutely wonderful due to the fact that we were sharing our insights, as we went along, while reading the book for the very first time. At the same time, it did seem unfair to Stephanie to expect her to drag this out for as much as three months when everything within her simply did not want to put the book down at the end of each chapter. We share where we are in our journey of reading the books as of the date that this was recorded. This podcast episdoe is safe for anyone who has read all of Book 1 but who has not yet started Book 2. We also share some other news realted to the upcoming movie and other feedback as well. In this episode of the Hunger Games Fan Podcast, Stephanie and I share our reactions to the 25th, 26th and 27th chapter of the first book in the Hunger Games Trilogy. In this episode of the Hunger Games Fan Podcast, Stephanie and I share our reactions to the 22nd, 23rd and 24th chapter of the first book in the Hunger Games Trilogy. In this episode of the Hunger Games Fan Podcast, Stephanie and I share our reactions to the 19th, 20th and 21st chapter of the first book in the Hunger Games Trilogy. In this episode of the Hunger Games Fan Podcast, Stephanie and I share our reactions to the 17th and 18th chapter of the first book in the Hunger Games Trilogy. In this episode of the Hunger Games Fan Podcast, Stephanie and I share our reactions to the 15th and 16th chapter of the first book in the Hunger Games Trilogy. In this episode of the Hunger Games Fan Podcast, Stephanie and I share our reactions to the 13th and 14th chapter of the first book in the Hunger Games Trilogy. In this episode of the Hunger Games Fan Podcast, Stephanie and I share our reactions to the 10th, 11th and 12th chapter of the first book in the Hunger Games Trilogy. In this episode of the Hunger Games Fan Podcast, Stephanie and I share our reactions to the 8th and 9th chapter of the first book in the Hunger Games Trilogy. In this episode of the Hunger Games Fan Podcast, Stephanie and I share our reactions to the 6th and 7th chapter of the first book in the Hunger Games Trilogy. In this episode of the Hunger Games Fan Podcast, Stephanie and I share our reactions to the 4th and 5th chapter of the first book in the Hunger Games Trilogy.